That check engine light isn’t going away on its own. If you’ve got a check engine light that you can’t wish away, it might be time to bring your car down to the auto repair shop at Steve’s Imports. Wondering what happened? First, check your gas cap and make sure it’s on tight. 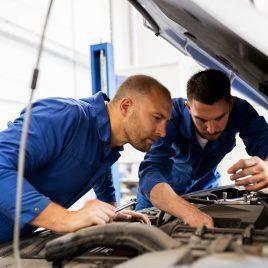 Once you’ve ruled that out, it’s time to think about the last time you had your car serviced. Our mechanics our ASE-Certified car experts with years of experience. 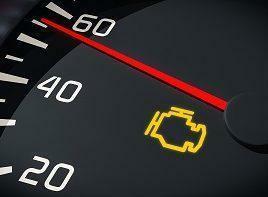 If any of these sound like it might be your problem, bring your car on down to Steve’s Imports to have us take a look. Tempted to take your car in for a simple OBD-II scan? Unfortunately, those readouts only tell part of the story. There’s a lot that could be going on in your engine at any given time. To help narrow down the list of what caused your check engine light to start glowing, here are the most common list of culprits. If the CEL reading is due to a faulty sensor. Where a problem is located in the motor. Any issues that might have led to the problem. Issues that might result from the problem. Don’t be left to wonder what’s going on with your car. Don’t pay more for a diagnosis that only tells you half the story. Our team of expert mechanics removes guesswork and gets to the root of your car’s trouble. Nobody loves car computers more than us. We use them every day and they make our lives easier. But while they’re great at what they do, they can’t tell us everything. Only experience can tell a mechanic how to look at your car to get things fixed. So if your check engine light doesn’t look like it’s going off anytime soon, it might be time to bring in your car to Steve’s Imports. Steve’s Imports is a family of foreign car specialists ready to figure out what’s happening with your check engine light. We’ll find out what happening with you car and keep you informed every step of the way. Your motor is enough of a mystery. We don’t want the service we provided to leave you with even more questions. We value open communication, transparency and honest service for every one of our customers. For a precision diagnosis of your engine, drop off your car at the shop today.